Few years in recent memory are as uncertain, or filled with potential, as 2017 is. 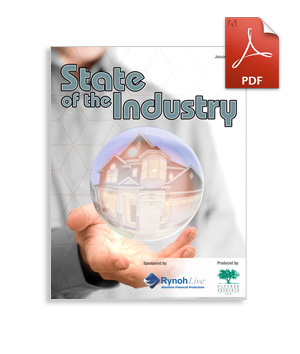 October Research, LLC’s annual State of the Industry special report provides an independent look at this year’s economic and regulatory landscape from the perspective of title and settlement services providers, lenders, appraisers and real estate professionals. Sponsored by RynohLive, download the free 20-page special report today to learn what industry leaders expect in 2017 and what you should do to prepare for the evolving legislative and regulatory landscape.